In an interview with ComingSoon.net, Keanu Reeves reveals that the official title for the third John Wick film is John Wick 3: Parabellum. When asked to describe the meaning of the subtitle, Reeves says, “Prepare for war. It’s part of that famous sentence, “Si vis pacem, para bellum,” which translates as, “If you want peace, prepare for war.” A Parabellum is also a type of semiautomatic pistol or machine gun, which connects thematically to the stylish gun ballets that define the franchise. The film also adds Angelica Huston, Asia Kate Dillon, 8th degree black belt Mark Dacascos, and funny-man Jason Mantzoukas to the already-bulging cast. Expect Ian McShane, Common, Laurence Fishburne, Lance Reddick, and Ruby Rose to return from John Wick: Chapter 2. Hiroyuki Sanada (The Wolverine) faces off against Reeves as the main antagonist. In Parabellum, ex-hitman John Wick (Reeves) is on the run, targeted by bounty hunters and assassins for a $14 million dollar open contract on his life. He also broke a central rule by killing someone on neutral Continental Hotel grounds. Wick killed the member of the High Table who put the bounty on his head, escaping execution only after receiving a one-hour grace period. Once his hour is up, he’s “Excommunicado,” meaning his membership is revoked, he’s banned from all services and cut off from other members. John uses every trick at his disposal to stay alive as he slices and stabs and punches and kicks and shoots many, many dudes in the face on his way out of New York City. Chad Stahelski returns to direct, and Derek Kolstad is once again tasked with screenwriting duties. 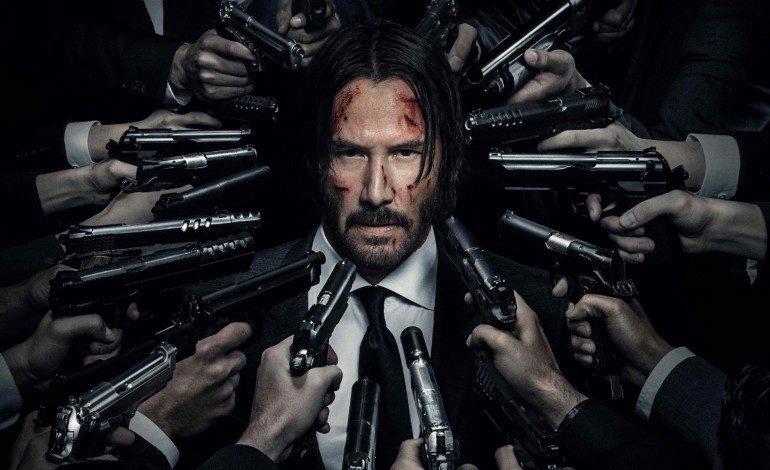 John Wick 3: Parabellum is set to hit theaters on May 17, 2019.